Find our range of currently available books and offers below! 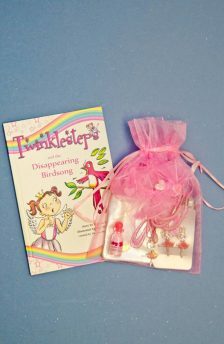 Twinklesteps is a ballerina fairy. She loves ballet and dressing up in her beautiful fairy dresses and tutus. 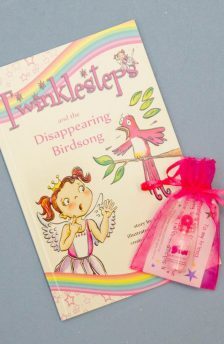 When she dances and points her feet, her magic ballet shoes light up, sparkle and twinkle – that’s why she is called Twinklesteps! 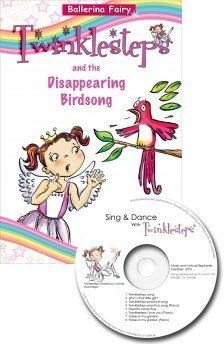 In ‘Twinklesteps and the Disappearing Birdsong’, the birds come from miles around to watch Twinklesteps dance and they join in by singing, so she has music to dance to – until the Growling Goblin steals their voices! 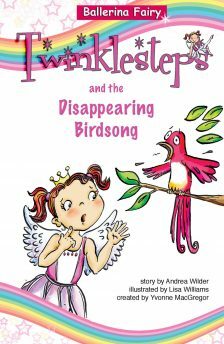 Can Twinklesteps rescue the disappearing birdsong and defeat the Growling Goblin with her magic and ballet skills?